Bagua Circle Walking is the central and foundational solo exercise of bagua zhang (ba gua chang/pakua chang). The greater the skill you develop in Bagua Zhang Circle Walking, the greater your chances of realizing bagua’s physical, martial and spiritual value. 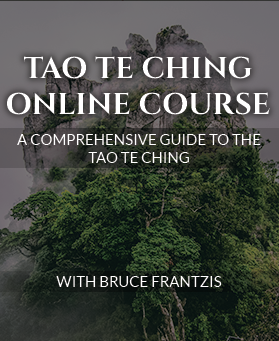 This primary technique of bagua zhang also trains the mind and body to accept change, which is a useful skill in a time when the speed of change is so rapid that stress with accompanying physical tension has become the disease of the modern day. Why Practice Bagua Zhang Circle Walking? Open up the possibilities of the mind to achieve calmness, stillness and clarity. Generate a strong, healthy, disease-free body with relaxed nerves and great stamina, which you need for normal daily work and or to help you meditate for prolonged periods of time. Develop internal balance and, perhaps more importantly, the ability to maintain it when either your inner world or the events of the external world change. The presence of constant change in the universe. The need to retain your balance when presented with change. The ability to flow with change and find a place of stillness and balance as change occurs. When you begin practicing bagua zhang, your primary focus will be on Bagua Circle Walking as a qigong exercise. Practice will encompass all the attendant benefits that it provides for making your body healthy and strong. As this occurs, and as a natural development or continuum, the same Bagua Zhang Circle Walking methods set the foundation that you need for a deep meditation practice. Over time, you gradually learn to work with the energies of your physical and etheric bodies. This is done by incorporating some of the basic neigong components, such as body alignments and breathing methods. 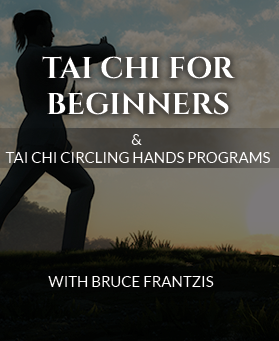 When Bagua Zhang Circle Walking alone is learned for spiritual purposes, it is commonly done for a few months to a year before you learn how to put your arms into the air. This trains your physical body to become stable and balanced while doing bagua zhang. As your balance and stability grows as you Walk the Circle, you begin varying the speed of your walking. Your goal in bagua zhang is to smoothly change direction and speed, or go from movement to stillness and back again—all without losing awareness. The Taoists say that if you can maintain uninterrupted and complete awareness from the time it takes a leaf to fall from a tree and flutter down to the ground, you will be enlightened. Which technique you use will depending on your level or experience and your physical fitness ability. There are three primary modes of Bagua Zhang straight-line walking and Circle Walking: four-, three- and two-part stepping. Generally, the first mode taught to beginners learning bagua is three-part walking, in which one steps with three distinct parts to each step. When facility is gained in three-part walking within Bagua Zhang straight-line walking (and perhaps in Bagua Zhang Circle Walking), then you usually go on to learn four-part walking, and eventually two-part walking. 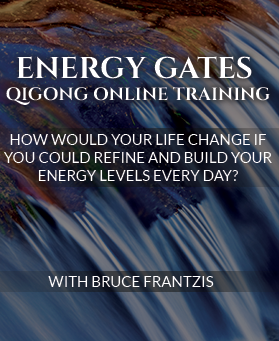 Through Bagua Zhang three- and four-part stepping you develop your internal capacities, including gaining power; two-part stepping enables you to apply those capacities in a fluid and dynamic manner. Bagua Zhang three-part walking gets you in the water; four-part walking gets you swimming; and two-part walking gets you swimming laps at full speed. Regardless if using a four-, three- or two-part bagua step, both Bagua Zhang straight-line walking and Circle Walking employ two main variations on how to take a step: mud walking and heel-toe stepping. Bagua zhang mud walking (tang ni bu in Chinese) is the central type of walking that both Tung Hai Chuan and the monastic schools emphasized within all Bagua Zhang straight-line walking or Circle Walking. It is so named because physically and energetically it resembles walking knee-deep in mud. After you learn the basics of the bagua mud-walking method, the next phase of learning and practice is to use mud walking to develop peng jin or “expansive energy” in your legs. You sink your chi and weight into the earth and, as you step, you feel with your mind the energy around and within your shins and feet. You then energetically expand and push your way through the “energetic mud” of your etheric body as you practice bagua. As you develop peng jin in your legs, it will naturally transfer into your torso and arms. Ideally, peng jin is generated from the legs in bagua rather than only the lower tantien, in fact this is essential. Bagua zhang mud walking requires that your stepping becomes absolutely steady over time. It continuously tests and improves your sense of physical and energetic balance. As you walk in bagua zhang, if you have any imbalances whatsoever you will often lose your physical and/or energetic stability and lean or falter—sometimes a lot, others only a little. Yet as you practice and learn the subtle techniques of Bagua Zhang Circle Walking, you should continuously become more stable and steady. The most common variation to bagua zhang mud walking in most traditional bagua schools is heel-toe stepping, which is the method used by people when they walk down the street or practice tai chi chuan. With each bagua zhang step, your heel touches the ground first with your toes raised above it. At that moment, you ideally have no body weight on the foot. Then the ball and toes of your foot roll and go down until your foot becomes flat to the ground and you place your body’s weight on it. Beginners whose balance is not very stable. People whose legs or backs have been injured or who are otherwise not strong enough for flatfoot mud walking. Once the legs or back are healed or sufficiently strong, they generally replace heel-toe walking with mud walking. Very advanced bagua people who use it to bring out the full potential of certain neigong practices. As you walk and change directions in bagua zhang, your arms remain fixed in space relative to your body. I call these arm positions bagua energy postures because each particular position of your arms (posture) is designed to develop the energy of your body in specific ways. Practice of energy postures prepares you for doing the more dynamic moving practices of bagua zhang, such as the Single Palm Change. Many dozens of bagua zhang energy postures are widely practiced within various bagua schools. All derive from a complete system of 200 postures that was developed within the Taoist monastic tradition. Each bagua zhang posture opens up specific energy lines within the body. Physically open and strengthen specific areas of the middle or upper body. Seamlessly open, connect and integrate different parts of the arms with all parts of the torso, spine, head, waist, hips and legs. Connect specific energy channels and flows within the physical and etheric energy bodies. In classic training, the first step in practice of a bagua zhang energy posture is to learn, understand and stabilize the physical structural details of the posture in your body. The next step is to get the chi (qi) being generated from your bagua walking to travel up your legs and through your body—into your arms and out your fingertips. This involves a layering that builds and connects your entire body’s chi from the ground up. As your internal contradictions and tensions lessen and your body opens up over time, the bagua zhang energy postures can be used in more sophisticated ways. Ultimately, the goal in bagua zhang is to connect your entire body’s chi. Each of these energetic bodies has a different energetic level of vibration. The basic bagua zhang internal power training consists of learning eight palm changes and combining them with walking, spinning and twisting arm movements, and constant changes of direction. Over time, these bagua zhang movements turn you into a swirling tornado with extremely rapid spiraling of the body and instantaneous changes of direction. In keeping with the I Ching, bagua zhang continuously combines and transforms these eight primary energies. In the beginning of bagua zhang training, metaphors that point toward the eight energies are translated into body and chi movement. The purpose of this early stage of bagua zhang training is to have the body become coordinated, the mind to become still and the Taoist meditation state of “no mind” (wu wei in Chinese) to appear. Once you have reached the no-mind state, your consciousness and then your body glimpse, experience and integrate into your being the actual living reality of the eight energies—one by one. This understanding of the eight energies is experiential and impossible to portray accurately in words. Walking the Circle, as it is called in bagua zhang, is customarily done at about the speed you might use when you walk down the street. In time, your walk gets progressively faster until you speed walk. At this point, bagua zhang becomes aerobic—a characteristic that distinguishes it from almost all forms of tai chi chuan. As your Bagua Zhang Circle Walking improves, its value as physical exercise progressively increases. Simultaneously, you develop capacities that are associated with meditation. Through constant repetition in bagua you learn to move the center of your awareness from your head and between your ears into your body, including your feet. You increase your ability to accurately feel all parts of your body simultaneously. When you Walk the Circle in bagua zhang, the constant alternating changes of direction increasingly accustoms the mind to change. For example, when what you visually see outside you constantly changes, your mind gradually and naturally becomes freer and more flexible. It also accepts change instead of becoming fixated and resisting it. Bagua Zhang Circle Walking helps you develop a stable center both physically and mentally. When going around in a bagua circle, the mind and energy inside you has to become stable, so you don’t get dizzy or become otherwise imbalanced. You must progressively let your mind become centered. The goal is to stay with your bagua circling movements and changes of direction without getting distracted by internal chatter or what is happens around you. Going round and round the bagua circle will also activate the essential vortex energy that lies between the earth and sky. If consciously engaged, this spiraling energy begins to activate. This allows the inner blockages inside you to release. It takes everything that is essentially blocked—physically, energetically, emotionally, mentally and spiritually—and puts it inside a tumbler. Everything shakes up until it shakes loose. Hsing-i chuan (Xing yi quan, Shing yi chuan), like bagua (bagua, pakua) and tai chi, is a internal martial art. Each of the three internal martial arts has their own distinct characteristics and flavor. Hsing-i could be considered the most direct and yang practice of the internal martial arts, primary composed of five basic fist movements and a core standing practice called Santi. The name hsing-i chuan is composed of three terms. Chuan translates as “fist.” Hsing means “to form something.” I, specifically in the word “hsing-i,” refers to the ability of the mind to create an idea and project it into the body, creating a functional physical form. The term hsing-i, then can be looked at from two perspectives. First it is whatever form the mind directs. Second, the form can manifest a wide variety of ideas, so you learn how to develop all the ideas within a form. Hsing-i practitioners are military in approach–marching in straight lines with a powerful emphasis at the end of every technique on mentally and physically taking an enemy down. The obvious external attributes of punching and striking are inherent to the way hsing-i is practiced. For many external martial artists NOT satisfied with the slow-motion form practice of tai chi, hsing-i done at normal speed fits the bill. A key feature of hsing-i is that it NEVER retreats. Moreover, hidden within the apparently linear techniques of hsing-i is a significant amount of very small, almost unseen, complete circles that are normally lacking in external martial arts. Rather than using muscular tension or anger for power, hsing-i focuses instead on utilizing relaxation, chi (qi) and stillness of mind to accomplish the pragmatic goal of winning in a confrontation. Hsing-i possesses either the same or similar primary goals as other more external fighting arts, such as karate or boxing, but also includes the chi (qi) work, health aspects and the ability to be martially effective into old age that most of the external martial arts lack. The physical technique of hsing-i is based completely on efficient use of the neigong internal power system; hence it is internally focused. Because of this, it is capable of making the weak strong and the sick healthy. However, its primary mindset is still the aggressive one of Shaolin karate or boxing. Hsing-i has five corresponding forms/fists that are each linked to the five elements. Hsing-i first form/fist is called Pi Chuan (translated as chopping/cutting fist). Pi Chuan associated with the Metal Element.The other four fists are: Tsuan Chuan (drilling fist) associated with the Water Element; Beng Chuan (crushing Fist) associated with the Wood Element; Pao Chuan (pounding fist) associated with the Fire Element; and Heng Chuan (crossing fist) associated with the Earth Element. Hsing-i chuan also has 12 animals forms that are linked to the martial applications. Energy Arts teaches hsing-i five elements for both martial arts and also as a health/chi building exercise.